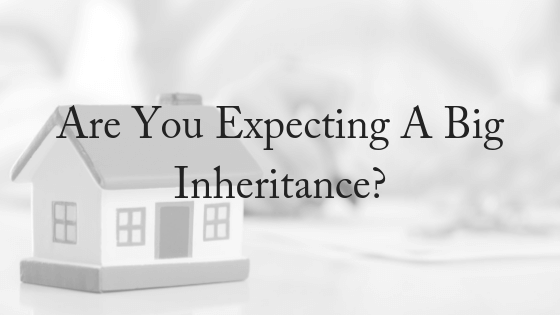 Are You Expecting A Big Inheritance? A new study has revealed that Australians are relying on an inheritance and are already working out how they will spend it. About 29 per cent of Australians concede they are expecting an inheritance and they intend to spend some or all of it once payday arrives. The figures released by debt solutions agency Fox Symes reveal that 17 per cent of those hoping for a handout once a family member dies will use it to buy a house or pay off their mortgage. But it’s never wise to put all your eggs in one basket: that long awaited inheritance might never eventuate. Parents don’t necessarily disclose their financial situation to their children and may prefer to fund a luxury retirement rather than leave it all to their kids. Parents are also living longer, and there’s the increasing cost of medical care and aged care. Some people also take out reverse mortgages to release the equity in their home, and it’s a shock to their children when they did that their inheritance is not going to be as large as they were expecting. 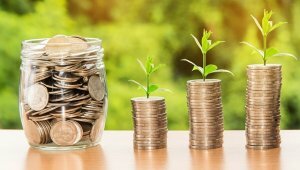 Inheritances in the $500,000 to $1 million range are not at all uncommon for many middle-class families, once real estate, superannuation, shares, investments and life insurance policies are factored into the equation. And many people — including highly intelligent, financially literate people — are not equipped to handle that kind of money in one lump sum. Some windfall recipients impulsively quit their jobs or leave their spouses even though they haven’t come into enough money to make them independently wealthy. Others spend the money far too quickly without planning adequately for the future — or for the taxes they don’t realize they owe. Still others experience a paralyzing fear of doing something wrong with the money — and, as a consequence, they waste years doing nothing at all. And most experience a change in relationships with family members and others they have loved and counted on for years. Serious family strains shocked LaKisha Cameron, 35, a California resident who inherited an unexpectedly large sum of money from the aunt who raised her. The aunt, who died suddenly last year, had always assured Cameron that she would inherit everything, and she named Cameron as the beneficiary on her life insurance policy, retirement plans and other key accounts. But a family spat erupted over who would inherit the aunt’s house in Sacramento. Even though the aunt and niece had lived together for years as mother and daughter, Cameron technically was not her aunt’s closest kin. And because her aunt hadn’t gotten around to drawing up a will or a trust spelling out who should get the house, other close relatives came knocking. In the end, Cameron prevailed and inherited the house. She gave two of her relatives $50,000 each to make them feel better about the outcome. Cameron also recalled feeling utterly overwhelmed and intimidated by her inheritance — a common reaction among many inheritors. At least Cameron’s aunt had been upfront with her about how and where to access the various accounts she had left in her name. In many families, the subject of any future inheritance is so off-limits that inheritors often have no idea what they’ve got coming. This phenomenon is known as the “triple taboo” — the unnerving intersection of money, death and close family relationships. Many people feel uncomfortable discussing even one of those topics honestly, let alone all three at the same time. For parents worried about leaving their kids an inheritance that may to too big to handle, a testamentary discretionary trust is a useful vehicle. Asset protection. A testamentary trust can provide significant asset protection, which will be important if your surviving spouse or an adult child is engaged in an occupation that carries significant risk of litigation or owns a business. Testamentary trusts can also provide some protection for adult children in a divorce property settlement. Income splitting. All beneficiaries, including those under 18, receive the benefit of the full income tax free threshold, and income above that amount is taxed at normal adult rates. This can be of significant benefit to beneficiaries who have children under 18 as they can effectively pay living and educational expenses for their children out of pre-tax income. Flexibility. You can tailor the terms of a testamentary trust to suit your particular circumstances. For example, you can restrict access to the assets in a testamentary trust in appropriate circumstances, such as where a major beneficiary has an addiction or is unable to manage a significant inheritance. Testamentary trusts can also provide that a beneficiary has a right to live in a house while preserving the assets for the ultimate beneficiaries (effectively a life interest). For more information about estate planning or if you’re worried about an inheritance you’re expecting to receive, please contact us today. We offer a FREE, 10-minute phone consultation.